Barn Brides are ALWAYS unbelievably gorgeous; they truly are the prettiest brides. Perhaps it has to do with the fact that they're also the least stressed out brides, since our team does all the work for them! Wink, wink. ;) I am always blown away by their bridal gowns, whether they're trendy, glam, classic, super simple, covered in ruffles, etc. I find myself swooning over every. single. dress... They're all so unique! We've had brides in short dresses, dresses with crazy long trains, every neckline imaginable, fashion-forward gowns that look like they're straight off a runway, mermaid gowns, the fluffiest princess dresses you've ever seen, classic A-line dresses, their mothers' dresses, and literally EVERY style you could imagine. Just for the heck of it, let's take a look back at a few of the stunning, stand-out bridal gowns our pretty Barn Brides wore! To start off the weekend, let's take a look back at some of the loveliest bridal portraits taken at The Barn! We love it when our brides have their bridal sessions at The Barn! It's the perfect way to make sure you get plenty of gorgeous photos of yourself (and maybe even your soon-to-be husband, if you're okay with breaking tradition) at your venue, all dressed up before your big day. Wedding days are crazy. They go by really fast, and brides may not always end up with as many portraits as they'd like, because they're busy visiting with guests, soaking in being married, and doing all the things that you do on your wedding day! Scheduling a bridal session at The Barn is the best way to make sure that you get lots of pretty photos without having to worry about it on your big day. Plus, it's fun to mix things up with a different hairstyle or different accessories for your bridal photos than you plan to wear at your wedding... Your bridal photos and wedding day photos look a little bit different in style, which is totally awesome! It's also a great way to get comfortable in your dress, which is something that's a must before your wedding day rolls around. Anyway, our brides (and other brides) have had so many gorgeous bridals taken at The Barn! I've shared some before in this post, but here are some more... we just can't get enough of these pretties! Tryston Hines Photography, from Katie's bridals. One of my favorite bridal sessions ever! Katie's stunning blush and ivory gown + the beautiful backdrop of The Barn... too much pretty to handle. Martin's Photography. 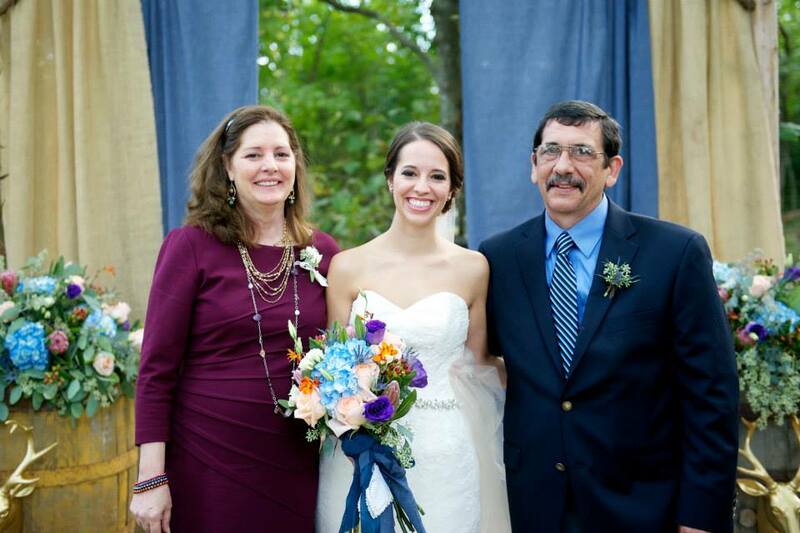 Monica + Luis were married at The Barn this summer. We can't wait to share their wedding photos with you, but in the meantime, go look through Monica's stunning bridals! We adore them! Pictures by Katie. I just blogged about Kelsey + Gueorgui's wedding this week! Kelsey had her bridals taken at The Barn in the rain, and they couldn't have been any prettier. Tryston Hines Photography, from Amber's bridal session. We make bouquets for our brides' sessions, and they're always the perfect detail! KMWarford Photography, from Bethany's bridals. Bethany's bridal gown was probably one of the prettiest of all time. Her portraits were so elegant! Liz Chrisman Photography. Amanda wasn't a Barn Bride either, but her bridals were taken at The Barn, and they were so fun! Shingleur Photography, from Brittany's bridals. I shared some of this pretty lady's bridals in the last post, but I love them all too much not to bring up this session again! She had two dresses, which made for an extra fun bridal shoot! Jennifer Williams Photography, from Vanessa's bridal session. Vanessa wasn't a Barn Bride, but we were happy to have her come to The Barn for her bridals! Tryston Hines Photography, from Katie's bridals. Martin's Photography, from Monica's bridal session. Pictures by Katie, from Kelsey's bridal session. Gorgeous and glamorous! Tryston Hines Photography. Amber's springtime bridals were stunning! KMWarford Photography, from Bethany's bridals. Liz Chrisman Photography, from Amanda's bridal session. Pictures by Katie, from Kelsey's bridal session. Rainy day bridals can be just as pretty! And accessorizing your dress with plaid is always a good idea. I hope this starts off your weekend on a pretty note! Have a great one! This week is full of good holidays! Cinco de Mayo and Mother's Day are two of the most fun holidays there are, if you ask me. It's time to start celebrating our mamas, mother figures and moms-to-be! They taught us everything when we were kids, put up with us when we were awful teenagers, and somehow loved us through it all. They're endlessly supportive and unconditionally loving, even when we sure as heck don't deserve it. They always have our backs and listen to our drama without complaining, and they're our truest friends. Mothers, thank you for all you do! We never would have made it without you. Happy Mother's Day! And because this is a wedding blog, I want to show you some sweet moments between our Barn Brides and their beautiful moms and grandmothers. I hope y'all spend this week spoiling your mamas and all the women who have made an impact in your lives! They sure deserve it. Hey y'all! Remember way back in December when I showed you some of the precious senior photos and engagement photos taken at The Barn? Today, I want to show you some of the gorgeous bridal photos that Barn Brides have had taken around The Barn. It is truly the prettiest place to have photos taken, and there's just something special about bridals taken at all the little photo-worthy places around here: like the LOVE sign, our famous blue swing, in front of The Barn's doors, and on every piece of gorgeous land it sits on. Here are just a handful of the stunning bridals taken at The Barn! Shingleur Photography. Brittany + Tyler were married at The Barn just last week! Brittany's bridals were taken just after a snow day, and how magical are they?! I'm in love. You can see more of these here. Danielle Davis Art/Photography. Our horses are trained models. And they love showing out for bridal shoots. But seriously, Ashton's bridals were stunning! JRowe Photography. Y'all, we still haven't stopped talking about Jana's dress. Her bridals were amaaaazing! They were taken in the fall, and they were so so so good. LOVE. You can see more of them here and read her wedding blog post here. Amber Lane Photography. Molly was pretty much the classiest bride ever, and her gorgeous bridals were vintage-inspired and beautiful. You can read her wedding blog post here. Shingleur Photography. Lindsy brought her horse along for her bridal shoot. How pretty is the land around The Barn when it's all yellow?! You can see more of her bridals here and read her wedding post here. Tryston Hines Photography. Cara's bridals were classic and timeless, and her blue shoes were perfect! You can read her wedding post here. Tryston Hines Photography. This pretty lady wasn't a Barn Bride, but her bridals were taken at The Barn in the fall, and they sure were lovely! Tryston Hines Photography. Twin brides! It doesn't get more fun than this. Shingleur Photography. Another couple of dreamy shots from Brittany's bridals. Danielle Davis Art/Photography. A couple more of Ashton's bridals... this lady is gorgeous! JRowe Photography. Jana's bridals are as glamorous as it gets! Shingleur Photography. A couple more from Lindsy's stunning bridal shoot. We love our Barn Brides! Getting to spend a little extra time with them before their big day is super fun, so we love it when they choose to have their bridals taken at The Barn. Plus, they always turn out gorgeous! Meet Your New Barn Bride-Turned-Blogger! 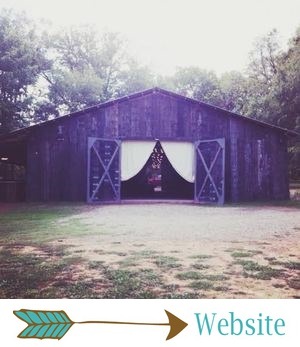 My name is Kelsi, and I’m your new Barn at Twin Oaks Ranch bride-turned-blogger. I’m so excited to share with you our beautiful Barn brides and their gorgeous weddings, as well as plenty of inspiration for your own big day and behind the scenes looks at the Barn experience. As a former Barn bride, I can assure you that this place is truly special, which makes me so thrilled to be able to share it with all of you! Here’s a little bit about me: I’m married to a hilarious, sweet, adventurous mountain of a man named Richard. We were born in the same town and lived in the same neighborhood at different times, but we didn’t meet until early 2009 (which is a whoooole other story for another day). We got engaged last May, planned a wedding in five months (those Barn girls are miracle workers, I tell ya), and got married on October 12. It was the best day ever! I was born in Russellville, Arkansas, and my family moved several times during my childhood. I've lived in Missouri, Alabama, Texas, and in a few other Arkansas towns as well. Whew! I blame all of those moves for one of my true loves: traveling. There is nothing I love more than a good adventure, and you’ll never know what state (or country ;) I’ll be blogging from! Want to know what else gets my heart beating a little faster? I love creating, whether it’s something unique for my house or a home cooked meal. I love being in the mountains, and my newest obsession is waterfall hunting! I’m really into road trips, staying up super late, baking delicious (but usually ugly) treats, and iced coffee. One of my many dreams is to write a travel book about the beautiful state of Arkansas. I recently bought my first real camera and am kind of getting into photography... but who isn’t into faux-tography these days? ;)And I love weddings, parties, design and writing, of course. I guess you could call me a pretty well-rounded gal… or maybe I’m just all over the place, but that’s okay, right?! If you’ve followed this blog since the beginning, you may remember seeing Ashley’s post about our wedding. Since you’ve already seen many of our wedding photos (which were taken by the incredibly talented Melissa McCrotty), I won’t bombard you with tons of them, but I’d like to share a few and give you the top five reasons why we loved our wedding day so much! 5. The flowers and details. We chose English roses, ranunculus, dahlias, hydrangeas and spray roses as our wedding flowers, and Ginger, our brilliant floral designer, created the most beautiful bouquets, boutonnieres, corsages and centerpieces. And the details of our wedding and reception were magical! I wanted to create many of the details myself, so Lesleigh and Victoria allowed me to make as much as I wanted to, and they took care of the rest. It was really fun to create so many personalized details and see how The Barn team used them on our wedding day! They exceeded any visions and expectations I had. 4. Our wedding day went something like this: I slept in. I got my hair and makeup done. I showed up to The Barn. I put on a fancy dress. Melissa McCrotty took like a million pictures of me. I walked down the aisle and married my best friend. I had dinner, cut into a pretty cake, and then partied with my family and friends. I sat at a table under the stars with my best friends and closest family and drank champagne. And then I ran through a bunch of sparklers and drove away with my new husband! I didn’t have to set up or tear down anything, worry about vendors showing up on time, or focus on anything other than having fun, visiting with our guests and completely enjoying our big day. That’s the beauty of getting married at The Barn, y’all! 3. Hanging out with most of our favorite people at the same time! Having most of your family and friends in the same place on the same day is overwhelming, to say the least. The moment before you walk down the aisle and see all those beautiful faces smiling at you, and you know they’re sitting in that crowd because they love you so much… that’s gotta be one of the best feelings I’ve ever experienced! 2. The Barn staff. I can’t say it enough. Working with them was such a great time! These ladies are true professionals. They make pulling off a wedding look like a piece of cake! They even made us a plate of food during our reception. Who does that?! The Barn gals, that's who. They'll make sure that your every need and want is well taken care of. I truly believe we had THE. BEST. WEDDING. EVER. Like, ever. And each member of The Barn staff puts their heart and soul into making sure that every one of our brides and grooms feels that way about their own wedding. I promise you will leave The Barn at the end of your wedding day thinking your wedding was the most beautiful wedding of all time! It's a magical place. Sighhhh. It’s so nice to meet all of you! I’m beyond excited to begin this blogging journey, and I hope you’re excited, too. I’ll see y'all right back here tomorrow!